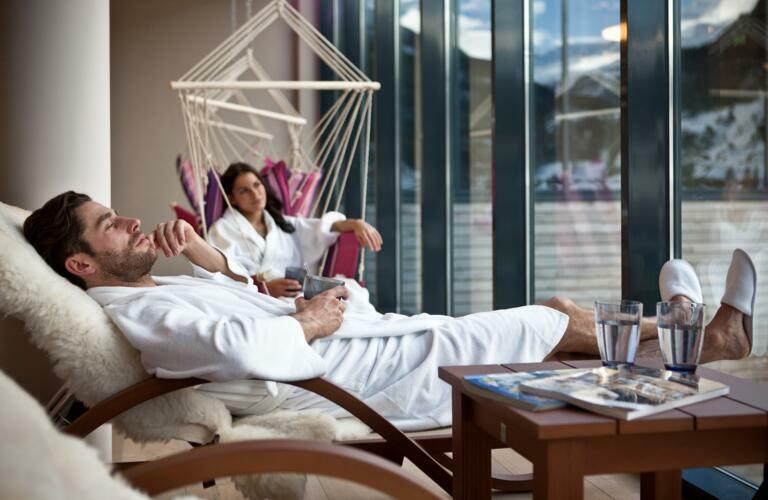 Holidays at the Hotel Bergland in Sölden feature many extras as standard, from a welcome drink at the hotel bar to use of our 1,700m² Sky Spa. 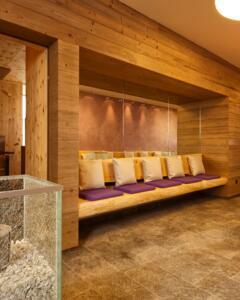 Winter and summer, the Hotel Bergland is your home from home in the Ötztal Alps. Here at the Hotel Bergland we want guests to enjoy their time with us from the moment they arrive to the moment they leave. That is why we do everything we can to make sure our hotel in the Ötztal Valley is a "home from home" for the duration of your stay. Park your car in our free underground garage, check in at reception and enjoy a welcome drink at the hotel bar on us. Your room or suite will be ready for you from 16:00. As there is so much to see and do in Sölden and the surrounding region, we want to give you as much time as possible to make the most of your holiday! That is why guests are welcome to check out and then leave their luggage in our storage room while they enjoy their last day in the Ötztal Valley. After one final day on the slopes or biking in the mountains, you can come back to the hotel, shower, change and then head home. We kindly ask guests to check out by 11:00. TIP! Our Late Check-Out gives guests the option of staying in their room (incl. 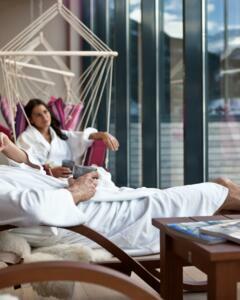 use of the Sky Spa) until 18:00 on their day of departure (surcharge: €50 to €55). 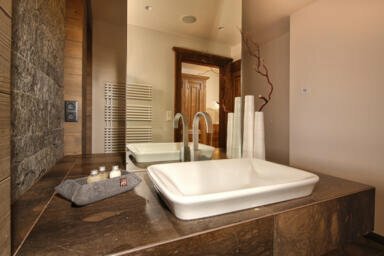 All our rooms and suites offer five-star facilities with a stylish design combining modern minimalism and traditional Tyrolean decoration. 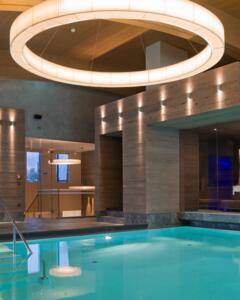 A selection of refreshing drinks and high-quality beauty products is provided in each room and suite. Each guest also receives a personal Sky Bag with a bathrobe, spa slippers and large towel for your next visit to our 1,700m² Sky Spa. 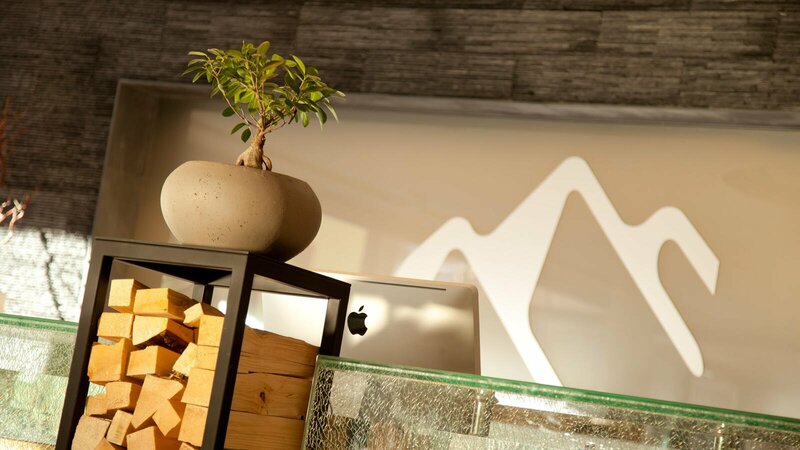 Natural products from the region, a large pinch of passion and plenty of creative dishes in our fine dining restaurant – these are our ingredients for a stylish and enjoyable holiday at the Hotel Bergland in Sölden. Start your day right with our healthy and hearty breakfast buffet or sleep in on holiday and make the most of our all-day breakfast. During the summer months guests can enjoy a delicious snack in the afternoon, while the multi-course gourmet dinner in the evening is the culinary highlight of every day at the Hotel Bergland. We also hold regular themed evenings and gala dinners. Make the most of your time with us in the Ötztal Valley and treat yourself to our Gourmet Half-Board. 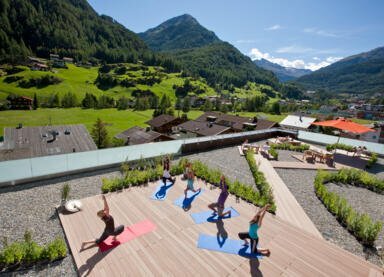 Holidays in the Alps are a great opportunity to stay fit and active. 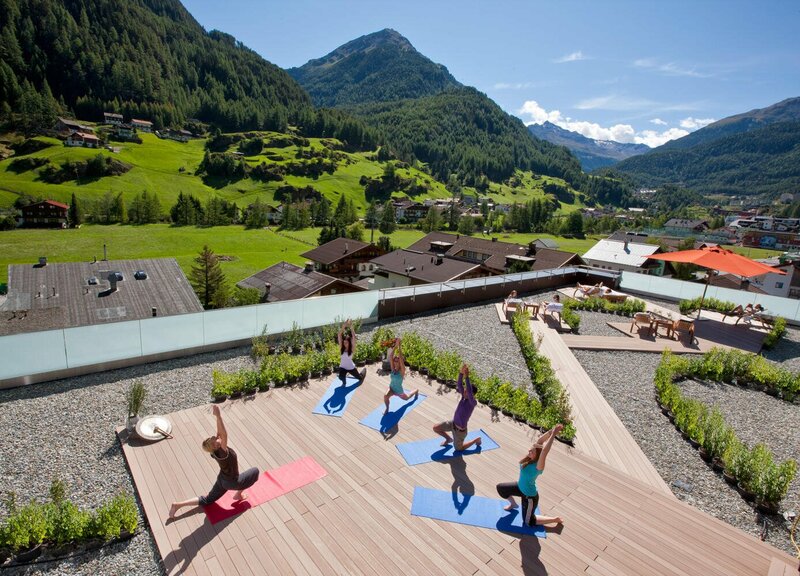 Here at the Hotel Bergland we organize regular days out in the mountains of the Ötztal Valley. There are also plenty of sports facilities in the hotel for those rare days when the sun isn't shining. Lie back, relax and let the water gently carry you as you admire the majestic Nederkogel mountain on the horizon – our Sky Spa is a heaven of peace and quiet where guests can escape the stress of daily life for a few precious hours. 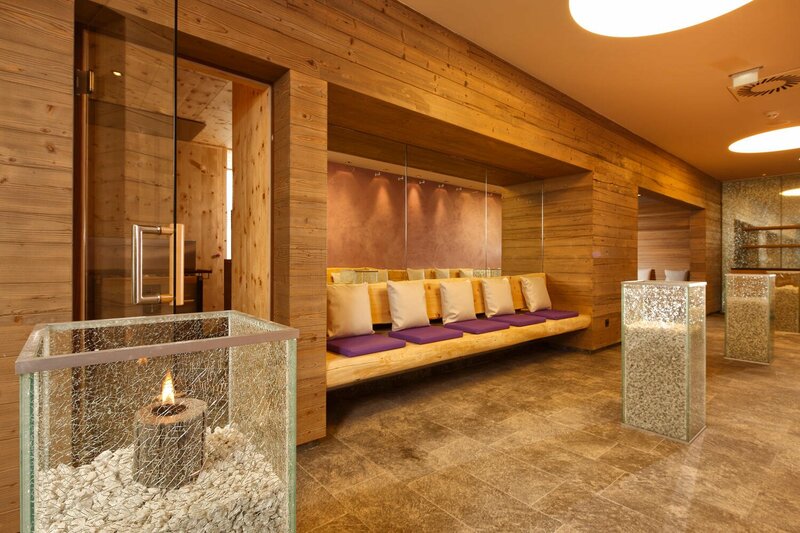 During the winter months there is no better way to warm up and strengthen your immune system than with a visit to our sauna area featuring a sizzling Finnish sauna, a gentle biosauna and a steam bath. 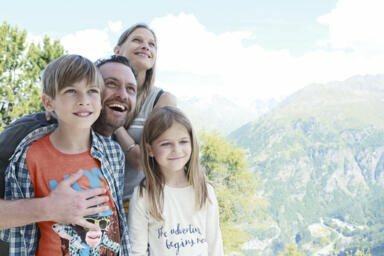 Family holidays at the Hotel Bergland in Sölden are an experience that children and teenagers will never forget. We have lots of activities and highlights to keep our younger guests entertained for the duration of their stay.